Welcome to Lincoln Homes for Sale and Real Estate portal: your single stop for finding a home in Lincoln, California. Here you can search every available home for sale in Lincoln, California via the local MLS Multiple Listing Service. Lincoln, 95648 is located in Lincoln, California which is in Western Placer County. Here there are some established neighborhoods, but most of the homes are located in new developments and have been built over the past 10 years. In Lincoln you will also find luxury neighborhoods like Catta Verdera and retirement communities like Sun City Lincoln Hills. Lincoln is located justa short drive away from the Roseville Galleria, The Fountains, shopping, dining, parks, schools, and has easy freeway access. Best known for its Newer neighborhoods that feature great schools, Lincoln continues to grow and develop. Several new home builders such as KB Home, Meritage Homes, Standard Pacific Homes, and JMC Homes are currently building in Lincoln. Lincoln was ranked as in the top 50 Safest Places to Live in 2013. 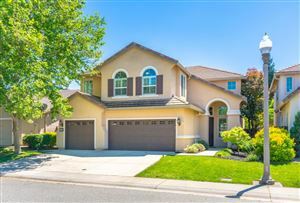 It is a great family friendly town where you can find lower priced homes compared to Roseville and Rocklin. If you are looking for a great home in one of the best places to live in Northern California, then Lincoln is the place for you. Call 916-872-7775 to speak with a Lincoln Real Estate Agent specializing in homes located in Lincoln California today. Thinking of SELLING a property in Lincoln, California? Call 916-872-7775 or See what your home in Lincoln might be worth today by filling out a Home Evaluation Request. There is No charge to determine the Fair Market Value of your Lincoln California Property. We also handle Lincoln Short Sales. Lincoln, CA home values are continuing to change, contact us today to learn more. Lincoln California Home Values - See your Lincoln California home value. New Lincoln California Homes For Sale - List of new homes in Lincoln, California. Lincoln California Real Estate Trends - View current home values, average list price, and average sold price for Lincoln homes.